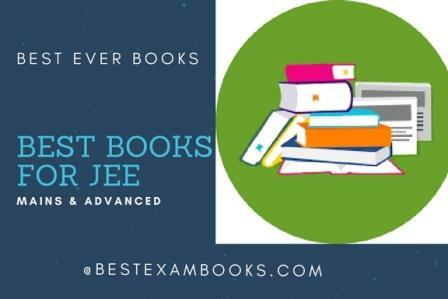 We will cover the series of best books for JEE in three parts, one for each subject, Let's start with Best Physics Books for IIT JEE 2019. 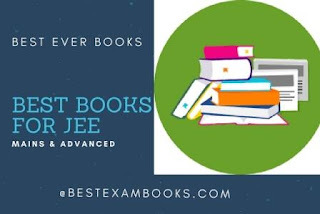 Choosing the right books for JEE preparation is a really confusing task for JEE aspirants. Once you come in class 11, you just start running around bookstores, online platforms to buy the books. You seek suggestions from every second person which generally leads to incorrect selections. Here, we are with some handpicked suggestions to meet the requirements of all strata of students, from those starting their preparation to those who seek to gain extra command. Here I have mentioned a grading system (marks out of 10) on the basis of difficulty and the order of books mentioned is from beginner’s level to masters! Remember all books mentioned ARE HIGHLY RECOMMENDED and gradation is purely for difficulty. This book is a good book and a panacea for basics and concept clarification. This book boasts of most elegant presentation of theory. If you are starting your JEE preparation you must refer this book for best clarity of fundamentals of physics. In this book, the section of mechanics and the entire elector-magnetic section is by far the best in theoretical aspects. Concepts like diffraction and interference have also been covered in depth and what to say of modern physics, you need to be selective in studying modern physics theory as there is thorough coverage. Basics of semiconductors are also there. For some topics like ray optics and fluids (topics like surface tension) are not covered in depth so you need to refer these topics from NCERT or CBSE books. These topics are not very conceptual so you won’t face many difficulties. Other than that this book is a gem. Questions of this book are most underrated but are surely mind-boggling. Once you are done with reading theory, give these questions a try, there are plenty of questions. Best part about its questions is that you have to apply concepts in real life scenarios like designing an aircraft wing, an auditorium in sound chapter! After religiously studying and doing questions from this book for JEE, you can easily score 90+ in JEE mains and a decent score in JEE advanced. Practice makes a man perfect and this book has been designed with this motto in mind. Just like maths you need to rigor in physics as well. Developing speed is very crucial in exams like JEE Mains and advanced. This book has plenty of questions of all difficulty level and of all pattern asked in new jee pattern like matrix matching and the integer type. After reading theory and doing questions from Halliday & Resnick do this book in time bound frame and see the gains after you are done with chapter, you will be soaring with confidence. The level is not very difficult as many prefer form beginning so remember that a weightlifter starts from lighter weights before going straight away to Olympic level. If you have joined a test series then this book is sufficient to equip with jee mains level and some of the advance as well. The best aspect is to develop speed and confidence at which this book succeeds. Do this book for JEE and you won’t regret at all. After fully completing this book you can score 100+ in Jee mains and 50-60% in Jee Advanced. There are five books in physics series written by Anurag Mishra for Jee mains and advanced. This is a kind of book from which teachers prepare themselves before taking classes at reputed coaching institutes. By this you can realise it’s level. The real elegance of these books are their solved examples which are solved in smart manners and you learn a lot from them including conceptual tricks which help a lot in the actual exam. In fact, as I said for Halliday Resnick regarding topics like optics and fluids. These topics are covered in depth here so your void is filled here. There are abundant questions in these books for JEE and are graded in three difficulty level. You will feel its difficulty right from solved examples. Remember solved examples are VERY important from this book. Even jee advanced questions will seem familiar and comfortable after you had solved both examples and unsolved questions of a chapter from these books. After doing the entire series religiously I don’t think there is any reason why you won’t be able to solve any question in JEE 2019. Unless you don’t do any silly mistake, you will surely score 115-120 in jee mains physics and at least 80% in jee advanced. Perhaps the most reputed and read book among preparatory texts for JEE. Though this book is not specifically meant for JEE but is extremely helpful for jee preparation. After doing Anurag Mishra this book won’t seem much difficult and you will comfortably sail through this book and master the tides and storms of really tough questions asked in physics at this level! You must consult your teacher or online forums before starting this book for JEE preparation as some topics are beyond jee scope (coriolis force in mechanics and some topics of modern physics). Do the right portion that is meant for JEE and you will gain utmost clarity in every topic of jee physics. Topics like rotation, electrostatics are most feared by jee aspirants and they are best covered in this book. Even jee advanced questions would seem peanuts after rigorously solving this book for JEE! After you are done with these four books(from Halliday to Irodov) you are fully equipped for jee mains and advanced. You can now easily score 120 in jee mains and 85-90% in jee advanced if you don’t commit some silly mistakes. These books are by far self-sufficient for JEE Physics preparation and your dependence on coaching is minimized. But for those who are extremely hungry and some time remaining after these books may consider the following book for JEE. The following book is meant for those who do not want to settle for anything less than AIR top 50. Even if your teacher knows about this book, He won’t recommend this to you unless he feels you to be a prodigy. Though this book is mainly meant for physics Olympiads and you are advised to stay away from it if you don’t have much time. If you are looking for questions and answers both; you would get disappointed as this book does not come with a solution. But if you have time and guts to endeavor the most difficult problems at 11-12th class level then go for it. Do not lose hope while doing this book and once you are done with this even partially but religiously trust me you are now far ahead of your competitors and are at par the finest teachers in coachings. This may seem a lot of boasting but buy this book and see for yourself. JEE advanced top 50 is surely yours (at least in physics); if you can withstand and complete this Pathfinder book! This was all that was necessary and sufficient for jee physics preparation. You must keep revising questions which teach you something. Make notes of theory and keep revising. Persistent efforts are necessary for succeeding in JEE. We will cover books For JEE Chemistry and JEE Maths in subsequent sections. If your friend is preparing for NEET, read books given in link and help him/her. If you find my review for 'best physics books for IIT JEE' interesting and useful, share it on your Facebook profile because 'Sharing is Daring'.